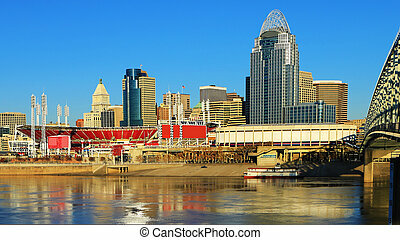 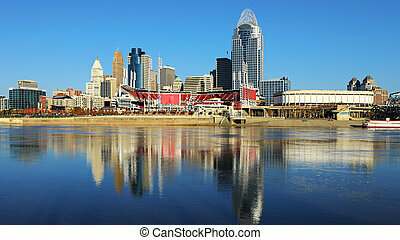 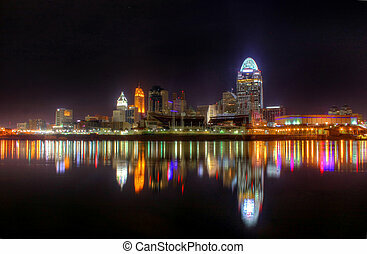 Cincinnati skyline. 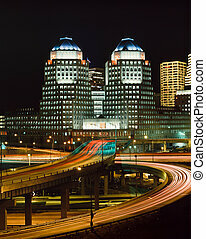 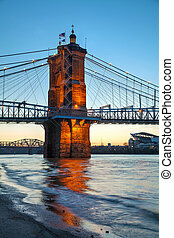 Image of cincinnati and john a. roebling suspension bridge at twilight. 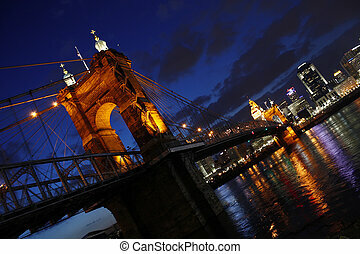 Image of Cincinnati and John A. Roebling Suspension Bridge at twilight. 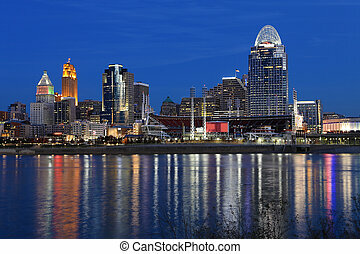 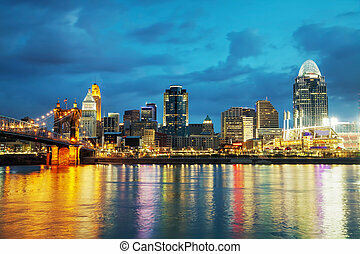 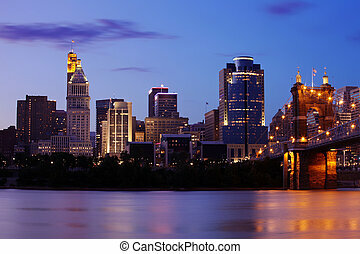 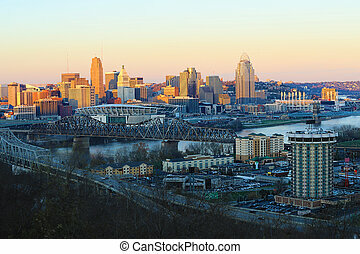 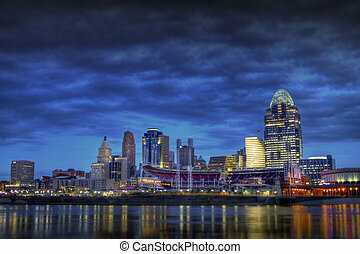 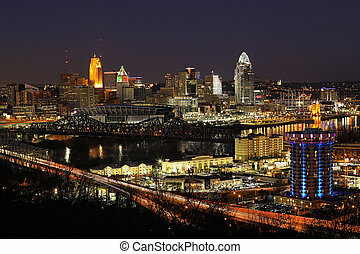 View of Cincinnati, Ohio skyline at dusk. 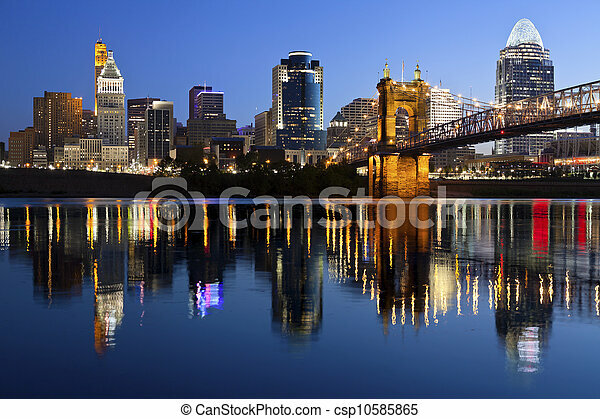 The John A. Roebling Suspension Bridge and Cincinnati, Ohio skyline. 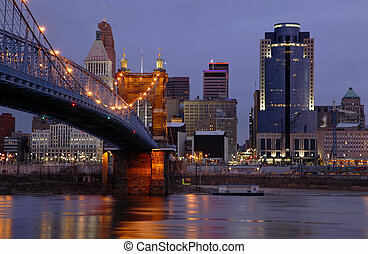 Roebling Suspension Bridge and Cincinnati, Ohio.